St. Paul Missionary Baptist Church was organized in August 17, 1983, under the direction of God, through the Rev. Charlie Beale, Jr., our founding Pastor. The church held its first worship service on September 4, 1983 at Mount View Assembly of God Church located on Highway 90 and Columbo in Sierra Vista. At our very first service there were thirty-five people in attendance. At that same service, three people became members and over the next two Sundays, fourteen more people made St. Paul their church home. The late Rev. Robert B. Wilson of Mount Olive Baptist Church of Douglas, AZ formally organized St. Paul on Thanksgiving Day 1983. We shall never forget! Rev. Warren Anderson, Jr., Pastor of the Gideon Missionary Baptist Church of Tucson and the Southern District Moderator, installed our Pastor. The following members were present: Mark and Zina Myer, Darlyne Perry, Hattie Barnett, Viola Beale, Kenneth Beale, Terrance Beale, and Michelle Beale. We remain at Mount View until December 1987, and became forty-five plus strong. Our prayer was that God would bless us with a building of our own, and He did! On December 31, 1987, (New Year’s Eve Night) we held our first service at 227 N. Carmichael Avenue, where we now reside. Pastor Beale and his Associate Pastor, Rev. Ceola Curley, Jr, conducted Service. The dedication service for the new building was held in March 1988. Over the next few months, pews, a piano and organ, hymnbooks, bibles, and carpet were purchased. The roof was also replaced. We were blessed with many donated items from friends and members. One such friend was Bro. Karl Karl Ashford who donated the neon cross that adorns our church each day and evening as it illuminates the neighborhood. We pause to rejoice and say thank you to the many friends who have supported St. Paul over the years and some have even become members. Rev. Beale resigned as Pastor in May 1990. In August 1990, we were blessed to install Rev. Dewey Kelly as our second Pastor. His tenure was a short four months. His resignation was accepted in January 1991, and consequently, the active membership roster dropped to seventeen. By faith, those seventeenth members were determined to keep St. Paul alive and embarked on an intense search for a Shepherd of God to lead his people. In February 1001, God answered our prayers and joined us together with Rev. Felix Gilbert, an associate of the Trinity Missionary Baptist Church of Tucson. After an interim period of six months he became our third Pastor and was officially installed in August 1991. St. Paul, from that point on has never been the same. Under his dynamic leadership character by his “Vision For the Mission” the membership grew from those faithful 17 to approximately 123. In October 1991, the liquidation of our mortgage note for our church, in the amount of $30,000.00 was witnessed. We are the proud owners of our building and have much to be thankful for. After much prayer and thought, Pastor Gilbert regretfully resigned as Pastor on July 23, 1993 to attend a Theological Seminary and pursue his career goals in Denver, Colorado. However, prior to his departure, he worked diligently to secure a Shepherd for our flock before he left. After much prayer and searching, on Saturday evening, July 24, 1993, Pastor Gilbert introduced our new Pastor to the church and community. Rev. Shawn L. Buckhanan of the Faith Missionary Baptist Church of Phoenix became our fourth Pastor. He is our first full-time Pastor and we are blessed to say we have a full-time ministry in this community. He was installed at Buena High School on Sunday, October 24, 1993, and celebrated his First Anniversary on Sunday, 21, 1994. Since his coming, we have added 125 plus members of which 21 were candidates for Baptism. 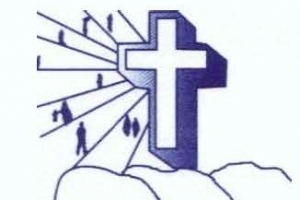 Several ministries, based on the needs of the church and community have been established to include a Male Chorus, Teen Choir, Children’s Choir, women’s Chorus, Youth Usher Board, expanded Men’s, Women’s, Youth and children’s Ministry, Ministers In Action, Single Ministry, Marriage Ministry, and on-going Christian Bible Training program. The Church has undergone a physical face lift under his leadership, to include: new exterior lighting, increased safety standards throughout the building, new steps on the front, new steps and door in the back, and the most recent debt-free renovations which brought about a more spacious sanctuary with improved lighting, upstairs kitchen facility, and dining area. A Hammond organ, children’s church chairs, and much office and church furniture has been donated based on the needs visioned by our Pastor. The church is now operating a full-time ministry by the grace and mercy of God. Our constant prayer is that God will anoint our Pastor with more wisdom and knowledge as he leads us. And that we continue to be the church that God intends for us to be. Most of all may each member of St. Paul acquire a depth of spiritual growth under our new leader.